Thursday 29th March 2018 is Wear A Hat Day! 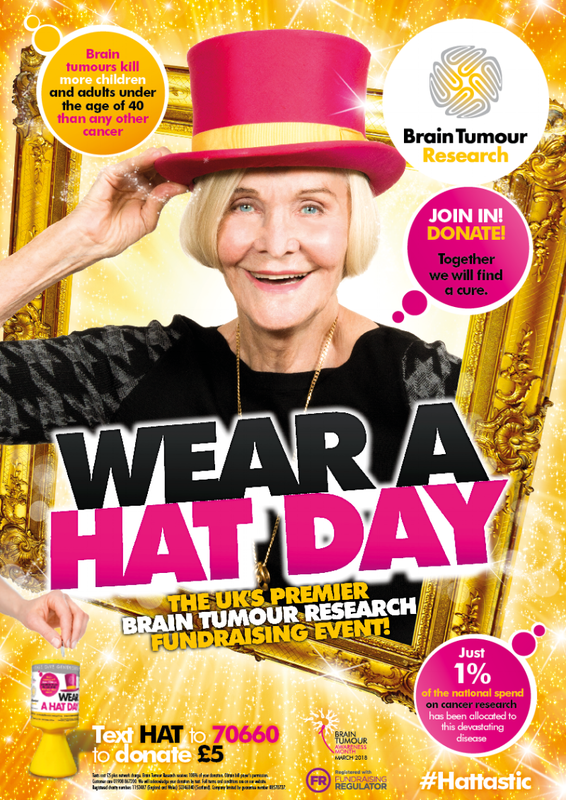 Wear A Hat Day was launched by the charity Brain Tumour Research and is the culmination of Brain Tumour Awareness Month. The big day will see schools, workplaces, families and individuals across the UK fundraising and taking part in fun events to raise awareness of brain tumours and help fund life-saving research. I am selling these gorgeous pin badges from Brain Tumour Research on their behalf in my shop - here. In addition to this, I will also be donating 10% of general sales of anything else on the website, including workshops, from today until the end of April. If everyone on my mailing list bought just one pin badge, together we could donate a wonderful amount to this amazing cause. Brain Tumour Research is the only national charity in the UK focused on funding sustainable research to find a cure for brain tumours. They have established a game-changing network of world-class Research Centres of Excellence in the UK. They kill more men under 45 than prostate cancer.